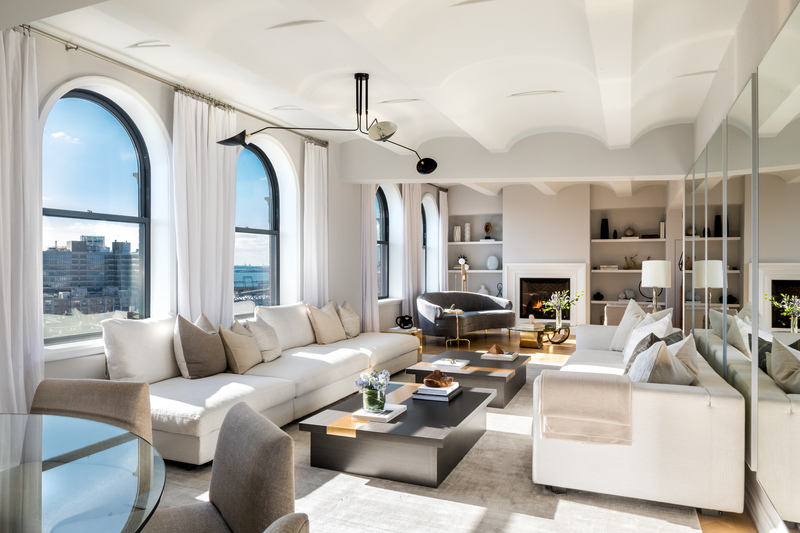 Though the building’s architectural heritage has largely been preserved (we covet those barrel-vaulted ceilings), it’s clearly been ushered into the new wave of “more is more” boutique real estate. 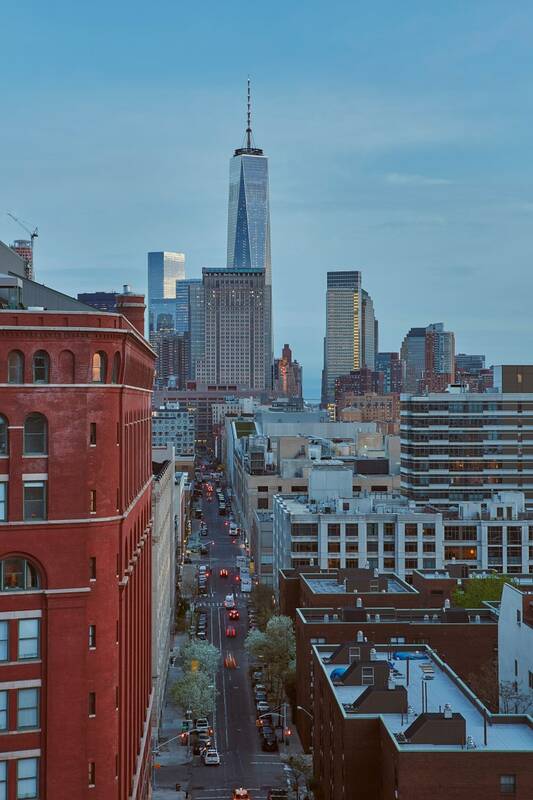 “We knew from the start that because of its former life as an industrial space, the residential spaces wanted to be large and gracious,” Naftali explains. 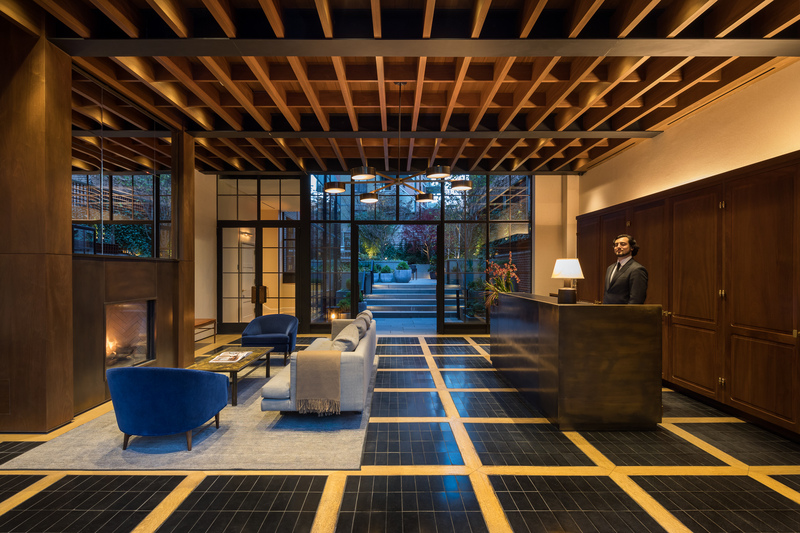 In true Gachot fashion, the space feels inviting, warm, and truly home-like, yet the amenity-laden common spaces feel like a prime hotel experience—the best of both worlds. 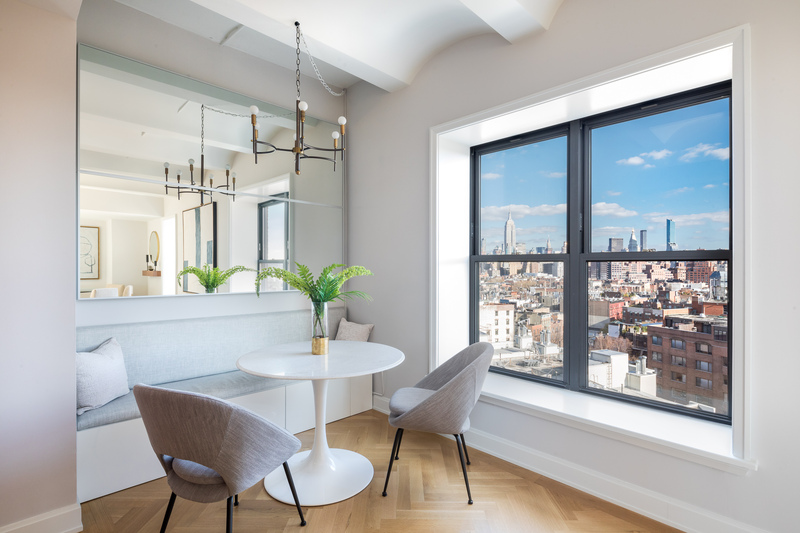 The lobby was actually a separate building from the condos when Naftali began developing—an unassuming two-story nestled halfway down the block. But it’s now become what Christine Gachot calls the “first impression space” (“lobby” she says feels too cold and formal). Gachot was inspired by a carriage house when she conceived the space. “I think its a really lovely moment to come in to,” she says. “There are 38 units that we did, and I don’t think you feel that way when you walk into the lobby. It creates a more intimate residential experience.” For a breath of fresh air, Gachot made the ground-level garden a focal point. Peek through the front windows and you’ll see an inviting, flora-filled terrace. In the kitchen, it’s hard to pick one focal point. The Statuary marble on the massive mahogany island? The herringbone floor made of a striking white oak? “We did the design, and Smallbone did the manufacturing,” Gachot explains. “They’re known, obviously, for their quality,” she says of the U.K.-based luxury kitchenmaker. 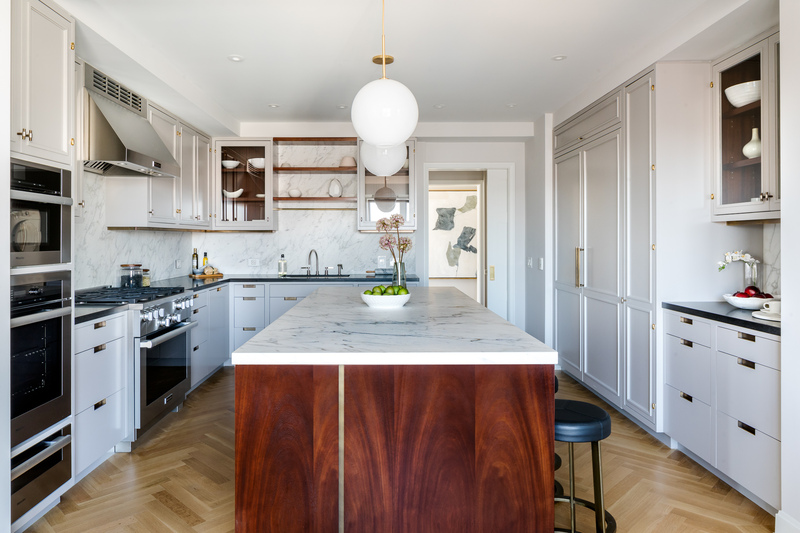 With custom pulls and hinges throughout, Miele appliances, and mahogany cabinets, this type of kitchen is move-in ready—no decorator required. Double Sinks in the master bath. Evan Joseph Images. Naftali Group Development. With each unit’s ample square footage, Gachot carefully considered how it could be put to the best use. Her conclusion? The bathrooms. 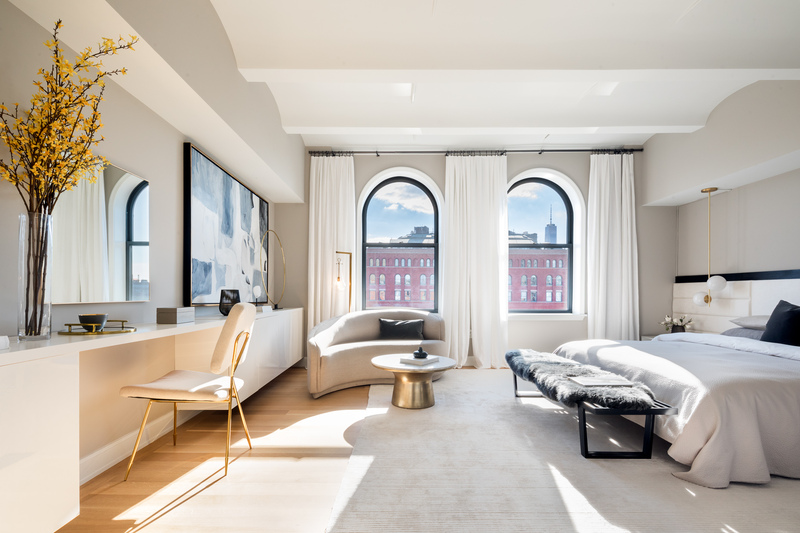 “There’s a proper foyer, overly generous closets—like the size of a generous studio apartment—and the bathrooms are generous,” Gachot says. 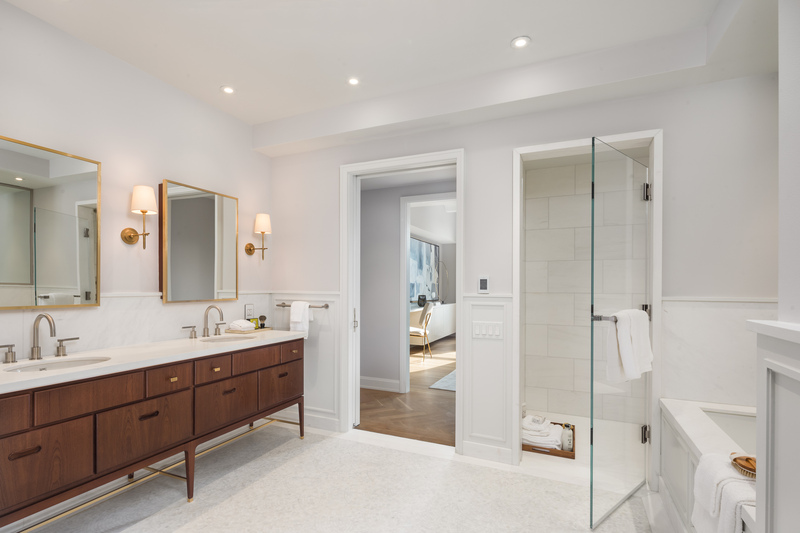 “We talked a lot about where to use that square footage, and people spend a lot of time in their bathrooms and kitchens.” In the master baths, custom mahogany vanities feature fittings by Lefroy Brooks. Master Bedroom. Evan Joseph Images. Naftali Group Developments. Another place to invest space? The master bedrooms. This game room is all grown up- no dingy air hockey table here! The Steam Room is a favorite of gachot. When asked to point to her favorite space in The Shephard, Gachot chose something unexpected: the steam room. Once inside, though, who can blame her? 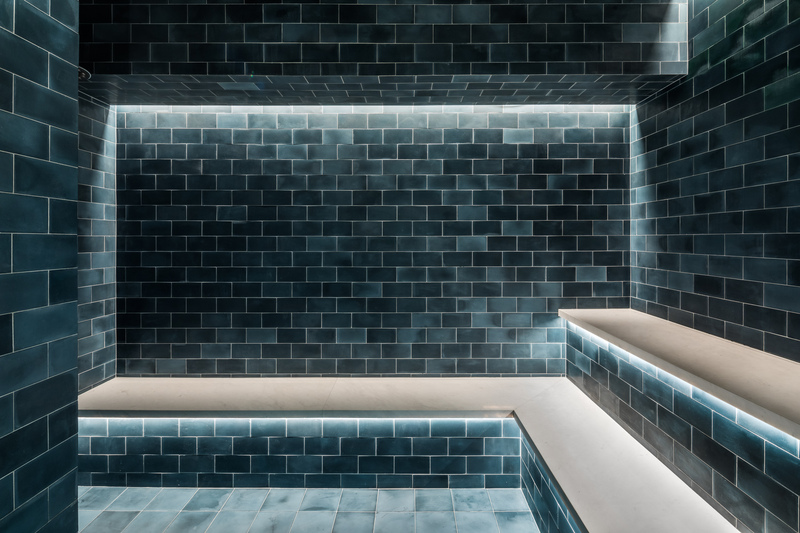 Clad in a glazed turquoise tile, it feels like a zen, underwater experience. “I don’t say this often, but it’s a very pretty picture,” Gachot says.